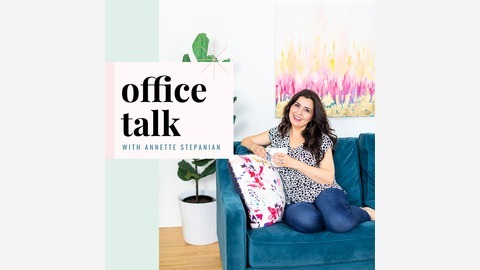 Eavesdrop on these candid conversations with game-changing entrepreneurs and host, Annette Stepanian, as they share insights on how they’re designing a business and life on their terms. Also, Annette answers FAQs about law and your business in her Legal Quickie episodes. I’ve said it before, but where the heck did the year go? Are you also standing at the end of this year, wondering what you accomplished? 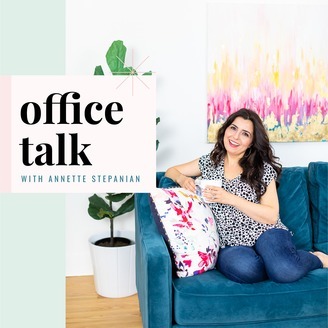 This episode of Office Talk is particularly vulnerable for me because I’m sharing what this less-than-perfect year has brought me. I’m pretty goal-oriented but this year tells a different story. I’m reviewing my year for you and telling you about some of the changes I’ll make in 2019 to feel more at peace with where my business is going. I also share some tricks that I remembered from my past (that I’ve never talked about before) to help me meet my goals in the future. If I set goals, that is! Disclaimer: This content is for your educational and informational purposes only and should not take the place of hiring an attorney. It does not create an Attorney-Client relationship between you and Annette Stepanian. Neither receipt of information presented nor any email or other electronic communication submitted or received will create an attorney-client relationship with Annette Stepanian. Any information that you provide by reason of your use of this content is not privileged or confidential. The law varies from state to state and based on the individual facts. Therefore, the information in this presentation may not work for your specific situation. If you have specific legal questions, you should seek the advice of an attorney authorized to practice law in your local state or jurisdiction.